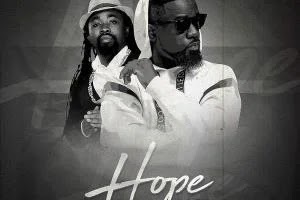 Award winning Ghanaian rapper Sarkodie delivers a new monster collaboration titled “HOPE” featuring the legendary OBRAFOUR. Having worked with Obrafour on other major hits, the track "HOPE" is heavily driven on inspiration and motivation. "HOPE" is that mentally stimulating song that employs you to remain positive and once again, believe in yourself.